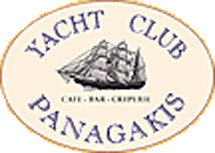 YACHT CLUB PANAGAKIS - THE PLACE to be seen in Aegina town! Right on the waterfront of Aegina town, this Cafe - Bar - Creperie has the reputation of being the oldest established catering business on the Island. The history goes back over 150 years, when the Stathis family opened their first taverna on this site. As the years passed by, subsequent generations took over and each shared in the modernisation of the business. 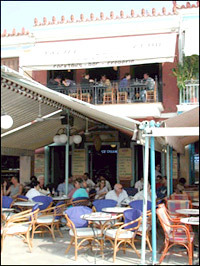 In 1989, the youngest son, Nikolaos Stathis took over and turned it into a modern style Cafe-Bar where you will find many local people enjoying their breakfast or mid-morning coffee, Ice-cream, or the famous sweet and savoury crepes and waffles for which it is renowned. 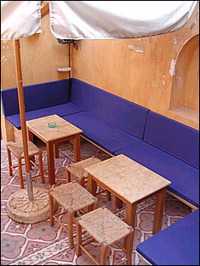 On the first floor you will find an attractive Bar where people of all ages relax with a cocktail or cool drink and watch the sunset over the harbour, while listening to good music. No trip to Aegina Island is complete without a visit to Yacht Club Panagakis - Open all the year round, daily from 7a.m. until late at night - You'll always find a warm welcome!